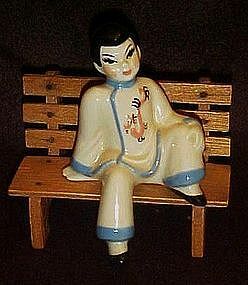 Cute little chinese boy is a shelf sitter. Made by ceramic arts studio. Perfect condition. Bench is for display only.